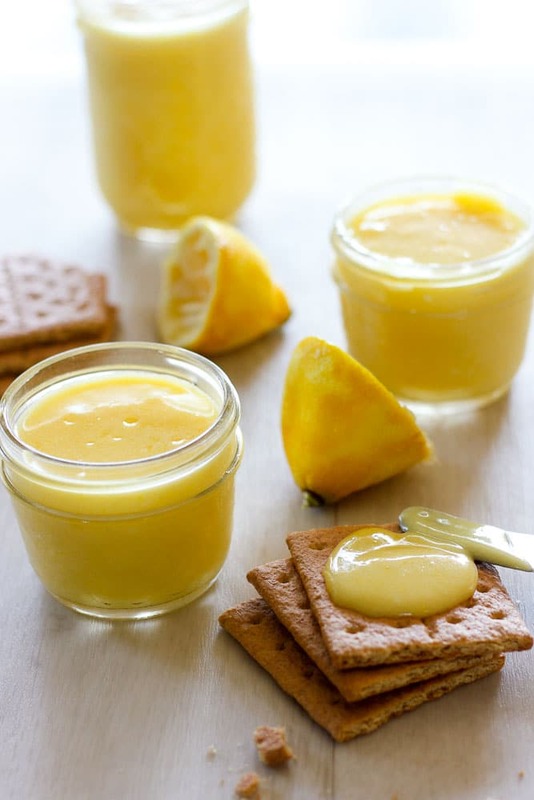 This Easy Lemon Curd is creamy, dreamy, tart and sweet. It uses whole eggs (so no wasted egg whites!) 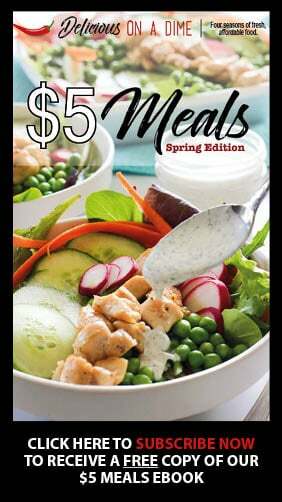 and you can throw it together in around 20 minutes. Now that’s my kind of breakfast/dessert/snack treat. 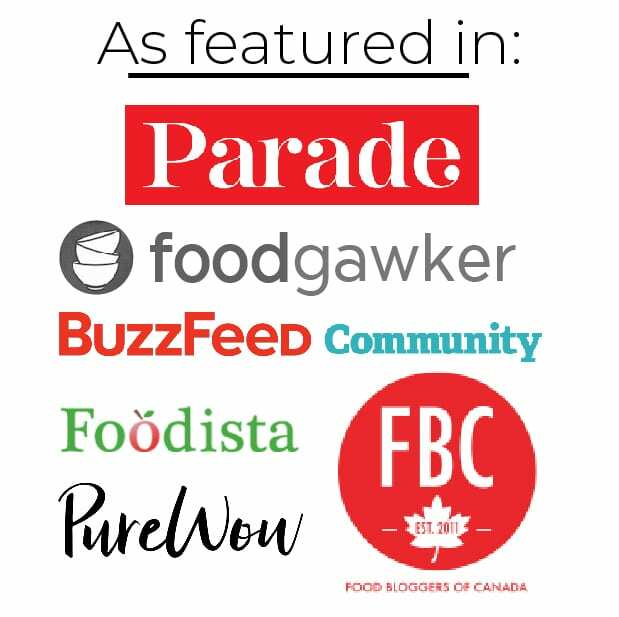 Why, I wonder, did someone not come up with a more appetizing name for the amazingly delicious confection that is curd than…. curd. 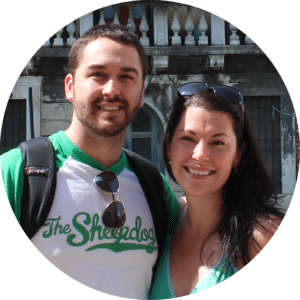 Instead of calling it curd, we should call it…. lemon cream. Or lemon delight… Yes. I quite like that one. Because that’s exactly what lemon curd is – delightful. 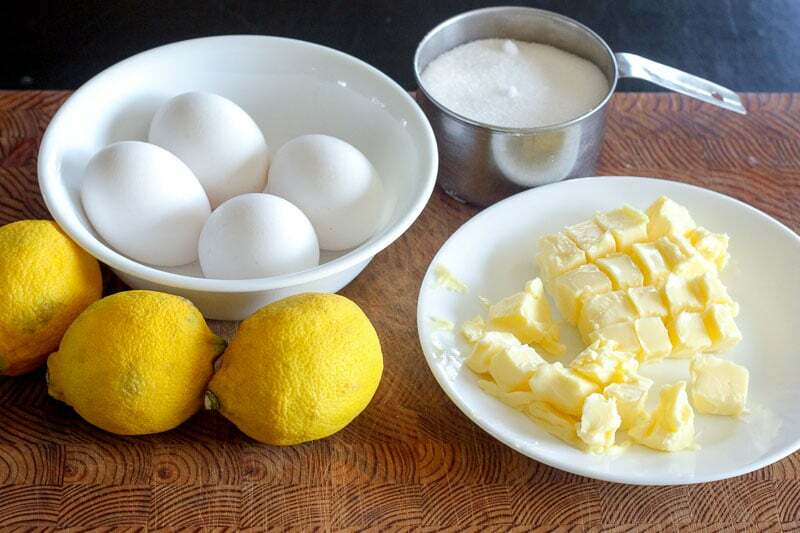 I think sometimes people are scared off by the word curd and don’t want to give it a try, but if you ever wished that it was socially acceptable to eat lemon meringue filling by the heaping spoonful, this recipe is for you. The beauty of this particular recipe is that it uses whole eggs. Most curd recipes call for all yolks or mostly yolks, but I really hate having to shove a container of egg whites in the fridge, only to find them a month later and have to throw them out. This eliminates the problem. The reason not many recipes use whole eggs is because people are worried about teensy tiny bits of scrambled eggs. There is talk of strainers and all manner of over-the-top efforts. But I say, who cares? Unless you’re making this to sell it (and I doubt you are, if this is your first time trying it), who cares if there’s a stray speck or two of egg. This recipe manages to eliminate 99% of them, and honestly, whatever. 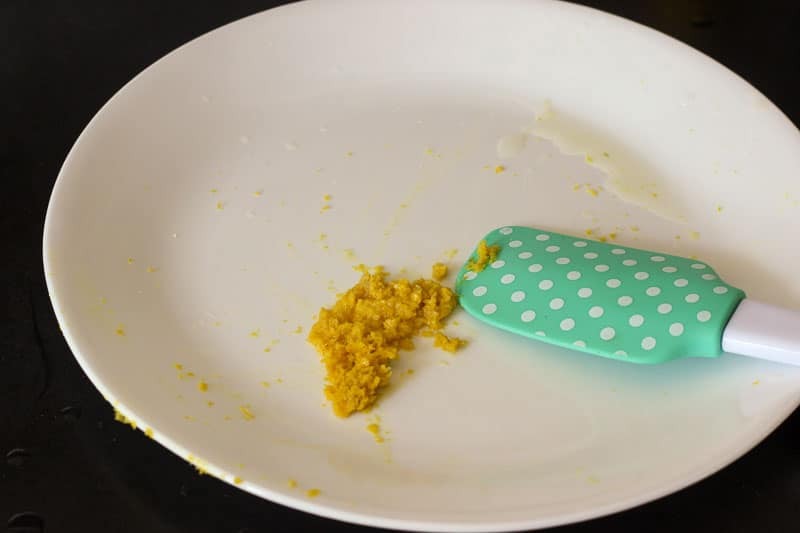 If you end up with a random teensy tiny piece of scrambled egg it will just taste like lemon meringue pie filling, which one could argue tastes better than scrambled egg alone. 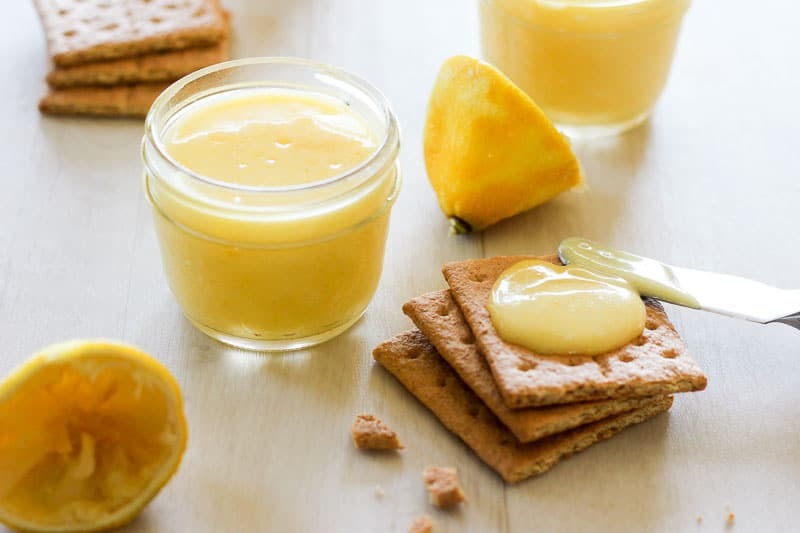 You can store this lemon curd in the fridge for 7-10 days, but you can also freeze it if you’re scared you won’t eat it all in time. Aside from the amazing taste, I love this recipe because all it takes is a couple of pantry/fridge/freezer staples and a few lemons. 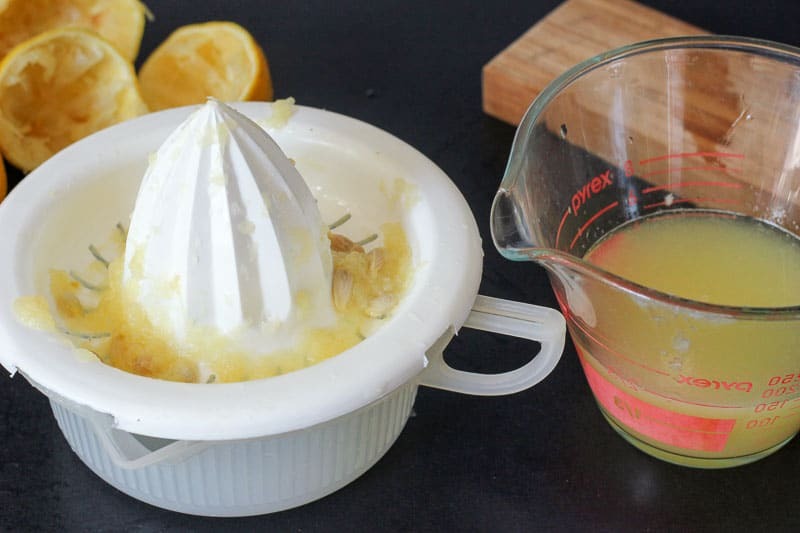 If you ever have leftover lemons from something else, this is the BEST thing to do with it. I promise. You can make it in around 20 minutes. PS – If you’re not sure what to do with your amazing curd after you make it (besides eat it with a spoon! 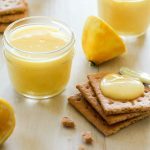 ), check out this post I created: 15 Incredible Recipes Using Lemon Curd That You Need In Your Life. Wash 2 medium-large lemons well and zest them. I like to use my microplane for this. You’re just trying to get the yellow zest – not the white pith – it’s bitter. Juice lemons. You’re looking for 1/2 cup of lemon juice. This took two lemons for me, but there is a chance you might need more if your lemons aren’t very juicy. One easy tip I always use is to microwave each lemon for 15 seconds before you juice it. I’ve read that it will yield more juice, and it certainly seems to be true! Separate 4 eggs. Put the yolks in a medium sized pot and the whites in a small bowl. 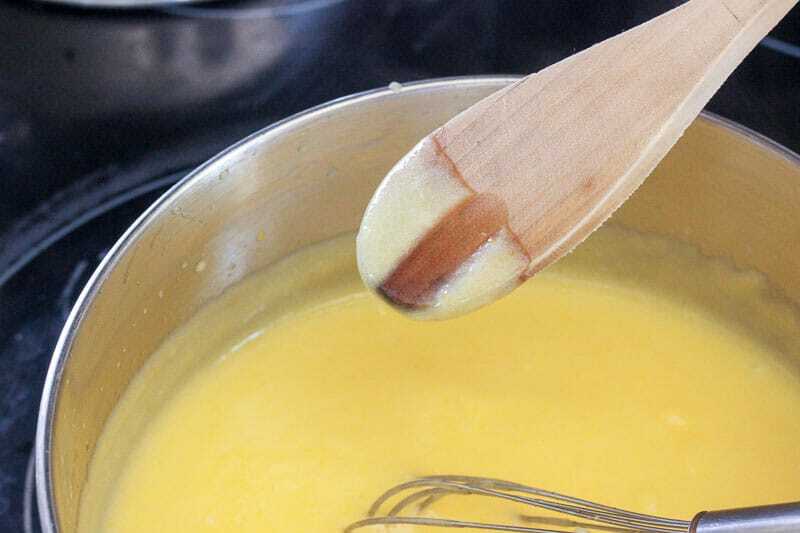 Add 3/4 cup of sugar to the yolks and whisk them vigorously (before heating) for about a minute so they’re well combined. Add lemon juice and lemon zest and whisk well again. Turn heat to medium (on the lower side of medium) and whisk until the mixture starts to thicken just a tiny bit (probably around 3-5 minutes). 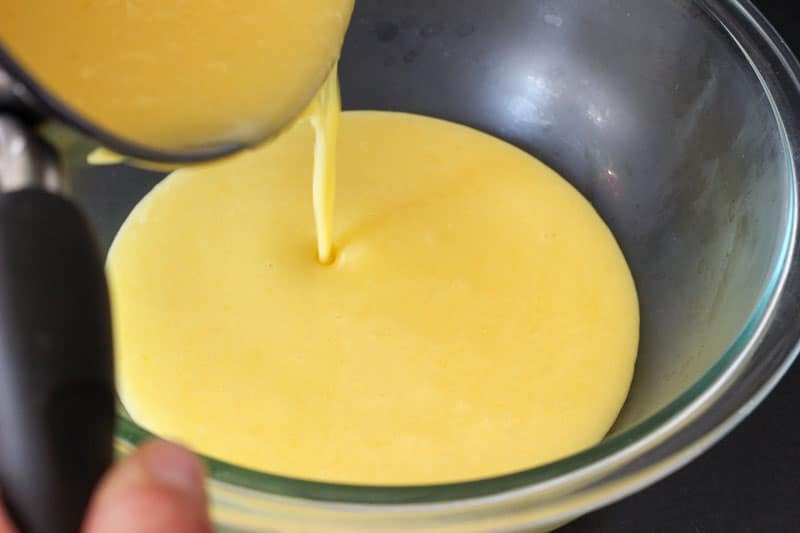 Add egg whites and continue cooking over medium heat, whisking constantly and making sure you scrape the entire bottom of the bot consistently as you go (you’re trying to avoid scrambling the eggs). 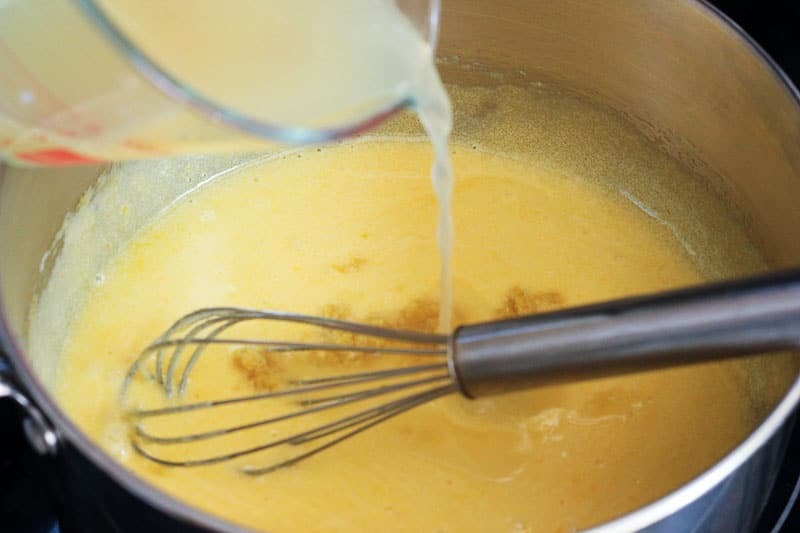 In around 6-8 minutes the mixture will start to thicken much more. Once it’s thick enough to coat the back of a wooden spoon, it’s ready to take off the heat. 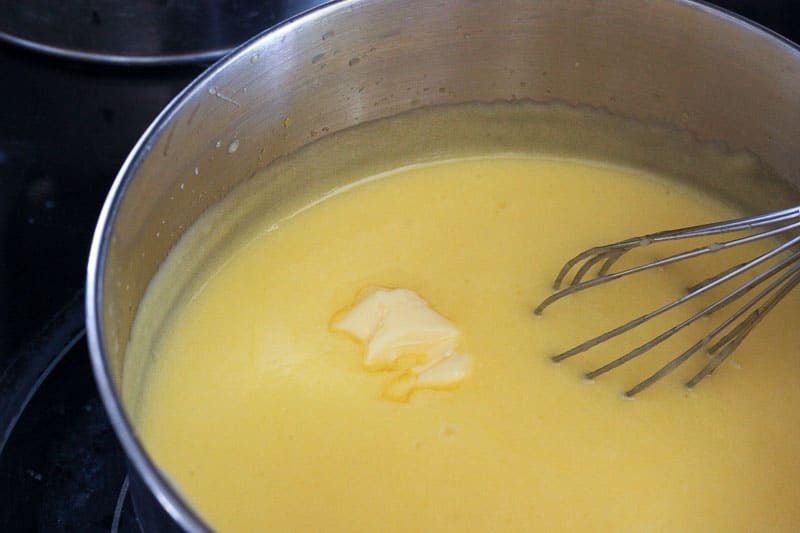 Start to add small chunks of butter, one at a time, stirring well after each addition. You’ll add 6 tablespoons in total. 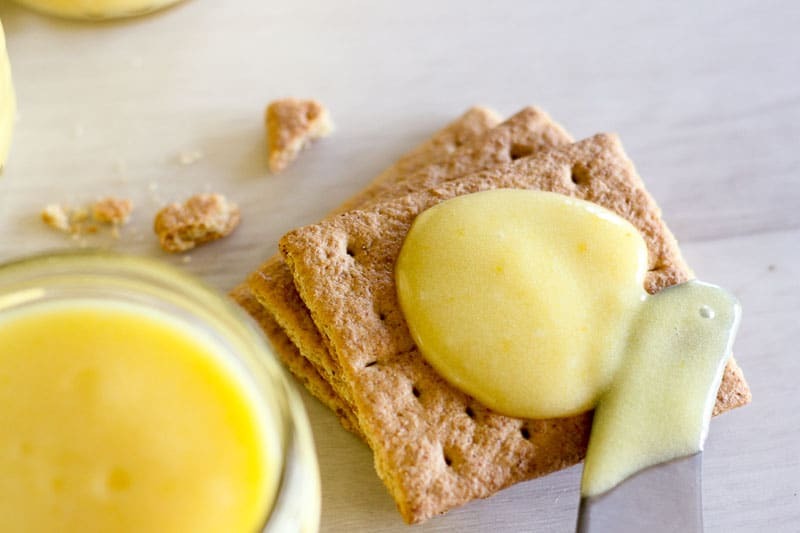 This Easy Lemon Curd is creamy, dreamy, tart and sweet. It uses whole eggs (so no wasted egg whites!) and you can throw it together in around 20 minutes. Wash 2 medium-large lemons well and zest them. I like to use my microplane* for this. You're just trying to get the yellow zest - not the white pith - it's bitter. Separate eggs. Put the yolks in a medium sized pot and the whites in a small bowl. 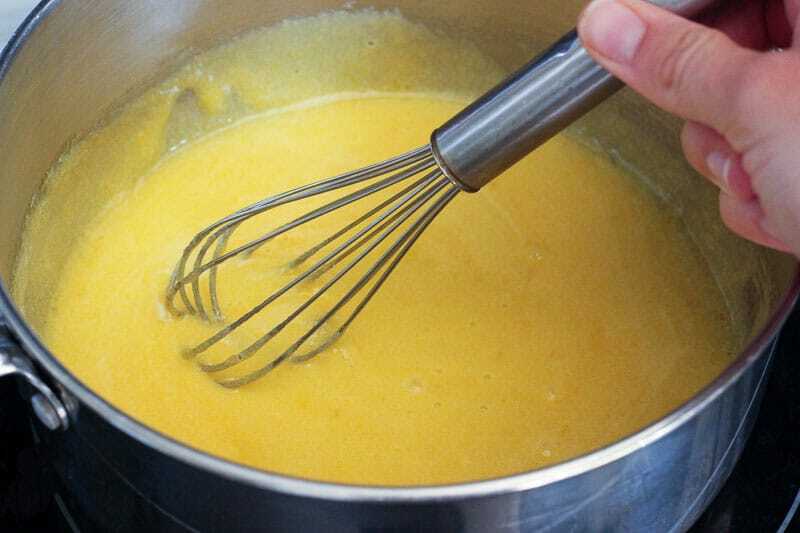 Add sugar to the yolks and whisk them vigorously (before heating) for about a minute so they're well combined. 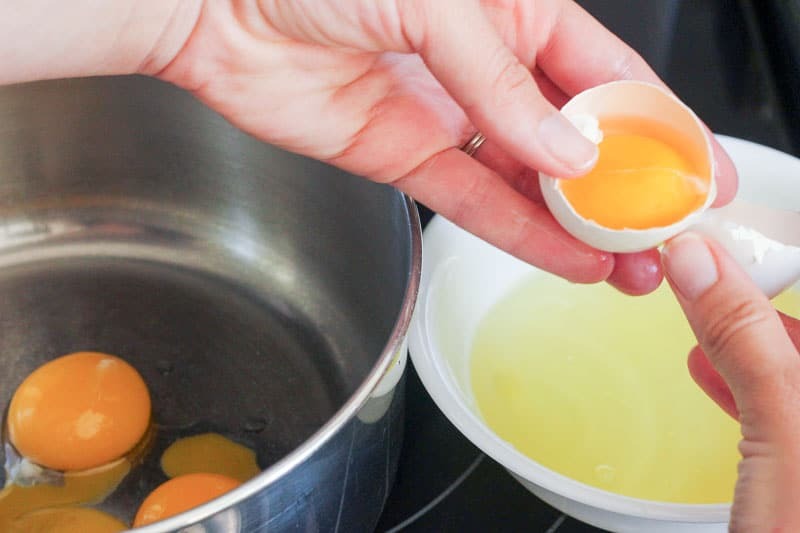 Add egg whites and continue cooking over medium heat, whisking constantly and making sure you scrape the entire bottom of the bot consistently as you go (you're trying to avoid scrambling the eggs). In around 6-8 minutes the mixture will start to thicken much more. Once it's thick enough to coat the back of a wooden spoon, take it off the heat. 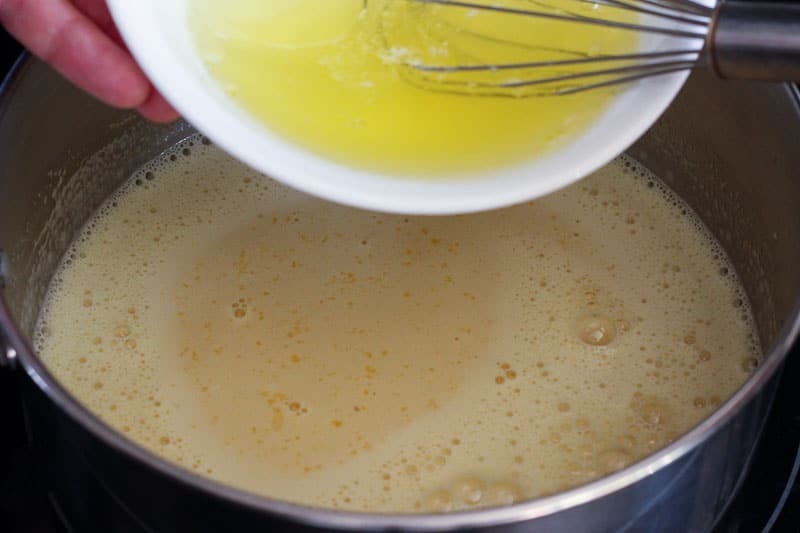 Add small chunks of butter, one at a time, stirring well after each addition. * Microplanes are super helpful for zesting. ** One easy tip I always use is to microwave each lemon for 15 seconds before you juice it. I've read that it will yield more juice, and it certainly seems to be true! 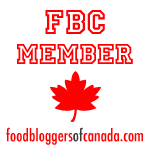 PS – Looking for amazing recipes to make with your lemon curd? 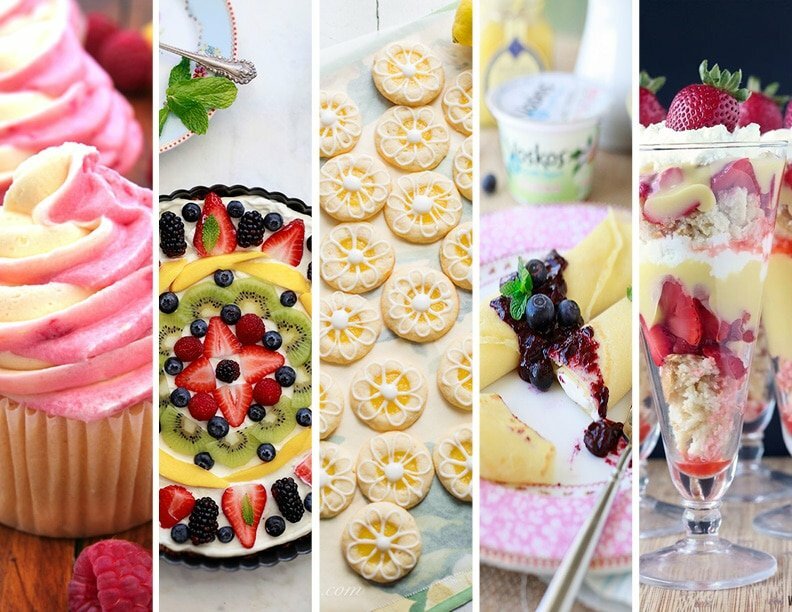 Check out these 15 Incredible Recipes Using Lemon Curd That You Need In Your Life!